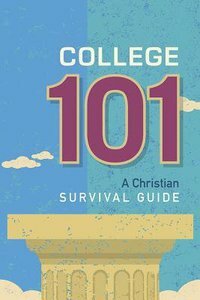 Whether you are preparing to head off to college for the first time, or if you already have some college experience, College 101: A Christian Survival Guide has something to offer. Students who know what it means to live on a university campus offer practical advice day-to-day living as well. Experience the challenges and joys of college life as these young Christians share their ideas for living and thriving on campus. Book jacket.